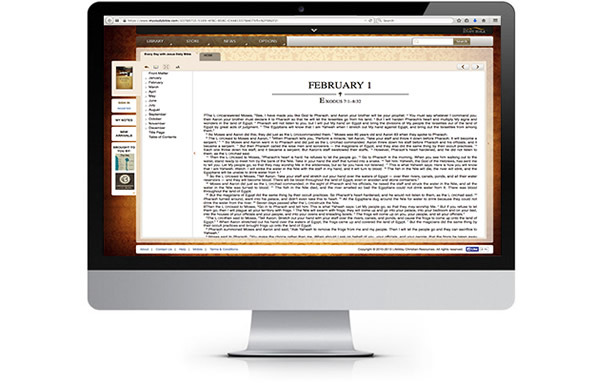 Many people begin a new year with a commitment to reading the Bible through in 365 days. These intentions are good, but the reading plan they choose may not be effective for reaching the goal. They become bogged down in the task as they work their way through long books that take weeks to cover. 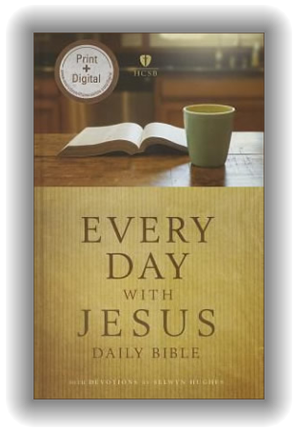 The Every Day with Jesus Daily Bible overcomes this by providing a rich variety of readings. Each day includes a selection from the Old Testament, the New Testament, the Psalms, and Proverbs. Reading four different Scripture portions each day has the benefit of introducing readers to passages they may never have explored, plus experiencing four varieties of text each day will yield new insights into God's Word. There's also a devotion from beloved pastor Selwyn Hughes that is linked to one of the four readings for each day. Selwyn Hughes was born in Wales and is best known for writing the daily devotional, "Every Day with Jesus," that continues to touch lives around the world. He also founded Crusade for World Revival and authored many books. If you register at myWSB.com, you can save your notes, bookmarks and highlights to any title in your library. Once you have registered, myWSB remembers your place in your book last opened. If you would like a richer and deeper study experience you can access the cross-reference tab to see Greek/Hebrew roots and definitions and even hear difficult Bible words and names pronounced. myWSB has over 20,000 reference titles to add to your library, including free access to the HCSB, KJV and Strong's.